Get more out of every purchase and experience than ever before. when you trade in your cell phone. To best view our site — and for a better experience overall on the Web — please update your browser using the links below. It's free and it takes just a minute. Download the latest version of Chrome, FireFox or Internet Explorer. 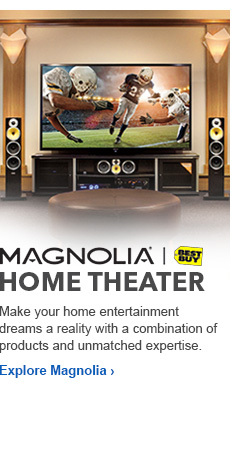 Best Buy is dedicated to always offering the best value to our customers. We will match the price, at the time of purchase, on a Low Price Guarantee product if you find the same item at a lower price at a Designated Major Online Retailer or at a local retail competitor's store. If you find a qualifying lower price online, call 1-888-BEST BUY and direct a customer service agent to the web site with the lower price, or when visiting a Best Buy store, one of our employees will assist you. On qualifying products, Best Buy will then verify the current price to complete the price match. Chromecast is the easy way to enjoy online video and music on your TV. Plug it into any HDTV and control it with your existing Android smartphone or tablet, iPhone®, iPad®, or laptop. No remotes required. Cast your favorites from Netflix, YouTube, HBO GO, Hulu Plus, Pandora, Google Play Movies & TV, Google Play Music, and Chrome* to your TV with the press of a button. Chromecast supports Netflix, YouTube, HBO GO, Hulu Plus, Pandora, Google Play Movies & TV, Google Play Music and Chrome*. Chromecast will automatically update to work with a growing number of apps. Chromecast taps into the same app and browsing experience you're familiar with on your smartphone, tablet, and laptop, so there's nothing new to learn. Just open a supported app, press the cast icon, then sit back and enjoy. Browse for what to watch, control playback, and adjust the volume using the smartphone, tablet, or laptop you already know how to use. Chromecast works with Android smartphones and tablets, iPhone® and iPad® devices, Chrome (for both Windows and Mac®), and Chromebook Pixel. Support for other Chromebooks coming soon. Switch to another app, open a new browser tab, or let your device go into sleep mode while you continue to watch your favorites on the TV, all without draining the battery on your smartphone, tablet or laptop. With Chromecast, cast a Chrome browser tab with anything from photos to music to video from your Windows or Mac laptop or Chromebook Pixel to your TV at home. Get started in 3 easy steps: Plug Chromecast into your TV, connect it to Wi-Fi, then cast videos and more from your smartphone, tablet, or laptop to your TV. Chromecast is designed to plug directly into the back of your TV, slipping out of view. It's a small device in its category, making it easy to set up on any TV in your house. Friends and family can use your Chromecast with their phones and tablets without having to set up anything, as long as they're connected to the Wi-Fi network at your house. Chromecast supports up to 1080p video resolution, so you won't lose picture quality from high-def sources. *Casting from Chrome feature is currently in beta. Posted by: msagent99 from Irving, TX on 03/03/2014It kept Me From Buying A Smart Tv Just To Search The Internet On My Television. Posted by: jonrambo414 from on 03/02/2014streams netflix from my computer to hdtv. worked fine out of the box and have had no problems. Posted by: trappgod from Schaumburg on 03/02/2014This is perfect to use with my friends asks family. For what the product is, the price is perfect. Posted by: CheeseburgerEddie from Baltimore, MD on 03/02/2014This is a great product for streaming media from your computer, all of it, movies, music, videos, pictures. Simple to use and easy to set up. Posted by: psychasocial from on 03/02/2014It gives 1080p video for hd Netflix and other databases. I found the installment difficult, had to call my Verizon customer service to help finish set-up. There is no clear guideline available to troubleshoot the installation problem. Posted by: mariba from Bay Shore, NY on 03/02/2014The chrome is an excellent gadget, everyone at my house loves it. Best 35 bucks I ever spent. Posted by: cstanley523 from emmaus, pa on 03/02/2014This is the best 35 bucks I ever spent. Easy to setup, does everything I wanted it to do. I have had no issues streaming to my tv. Posted by: bluescorpion from Lakewood, CO on 03/02/2014I'm glad I got this accessory. It is easy way to enjoy online video and music on your TV. Plug it into any HDTV and control it with your existing Android smartphone or tablet, smart TV, or laptop. 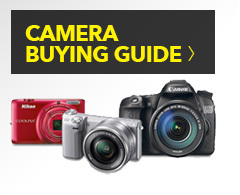 Up to 6% back in rewards with the My Best Buy™ Credit Card. Online prices and selection generally match our retail stores, but may vary. Prices and offers are subject to change. © 2014 Best Buy. All rights reserved. BEST BUY, the BEST BUY logo, the Tag Design, MY BEST BUY, and BESTBUY.COM are trademarks of Best Buy and its affiliated companies.